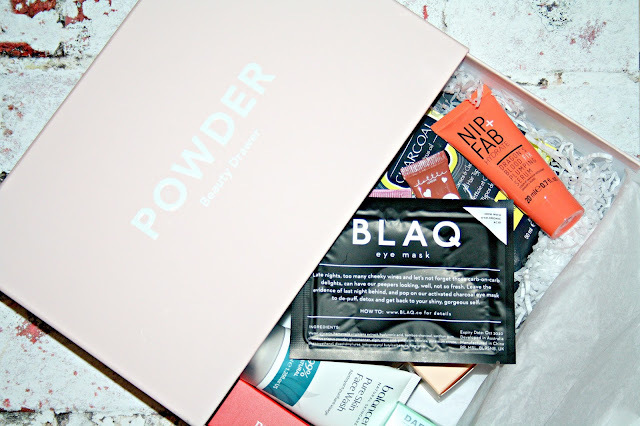 I love a good beauty box and when Powder landed on my doorstep I was really impressed with how it looked, never mind the contents inside. If you have never heard of Powder before, it launched back in 2015 and is part of Time Inc. (UK) Ltd, home to iconic brands such as Marie Claire, InStyle, Wallpaper* and Look and it is all about sharing the love, the love of products which the expert Beauty Editors get to know, try and test and bring them together into one box - Powder. 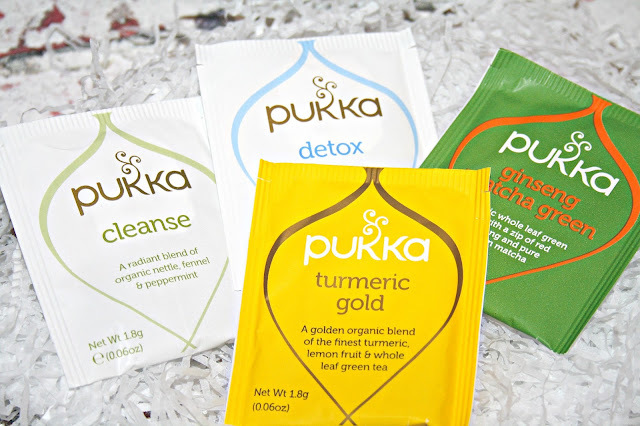 January is the Detox Edition Box and quite apt timing! New Year, New Start, Out with the old in with the new and all of that. 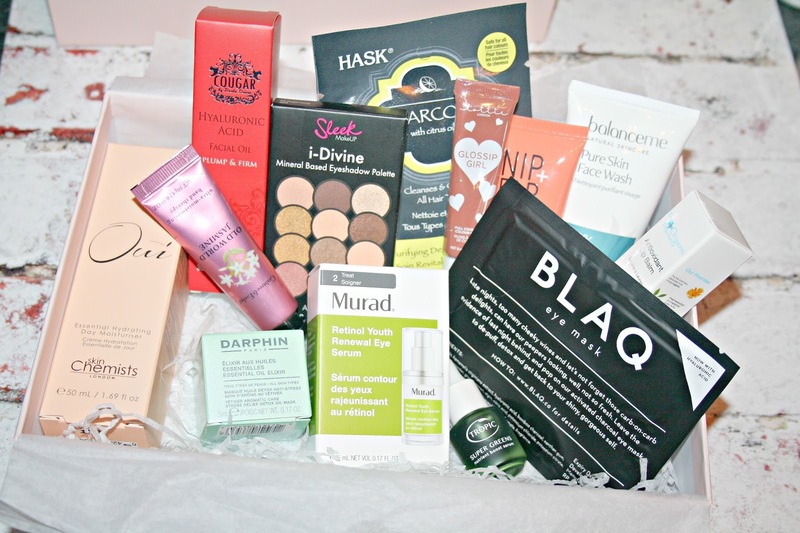 Inside this pastel pink box, which by the way has a drawer which you open and to get you started for 2018 there are an amazing 13 products which includes a mixture of skincare and makeup from some amazing brands. 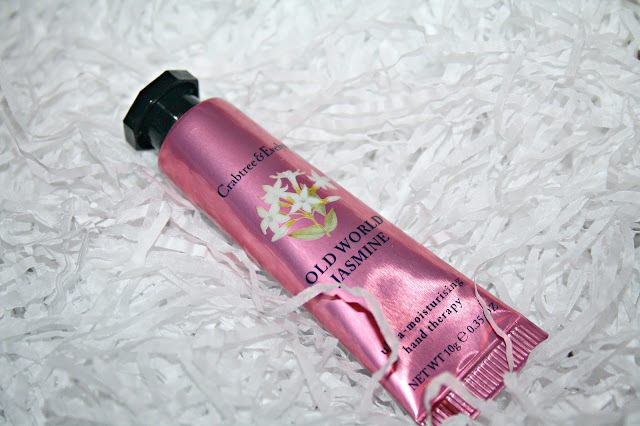 First out of the box is a tube of Crabtree & Evelyn Old World Jasmine Ultra-moisturising Hand Therapy. I really like Crabtree & Evelyn as a brand and this hand cream is infused with shea butter, macadamia nut oil, and our special Trio Oil Blend of moringa, evening primrose and rosehip oils to nourish, soften and protect your hands and it smells just absolutely incredible. Next, we have something for the hair and it comes from Hask. I have used a few Hask products recently and really liked the masks. 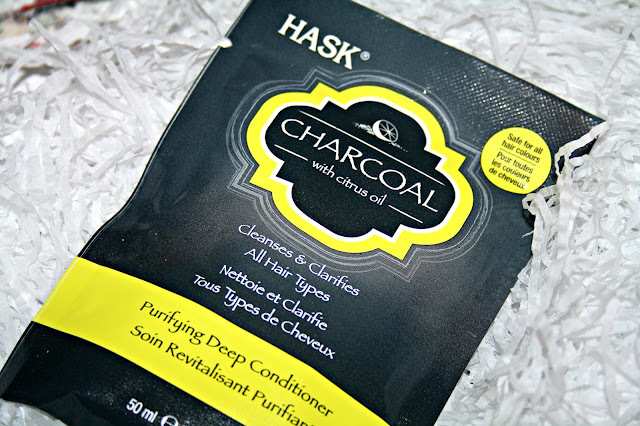 Within this box, we have the HASK Charcoal Purifying Deep Conditioner and it is described as being a super-moisturising, clarifying treatment which is non-staining & safe for all hair types (natural or colour treated hair) that nourishes & softens. Charcoal, derived from coconut shells, combined with citrus oil, absorbs impurities & helps restore hair to its natural radiance. 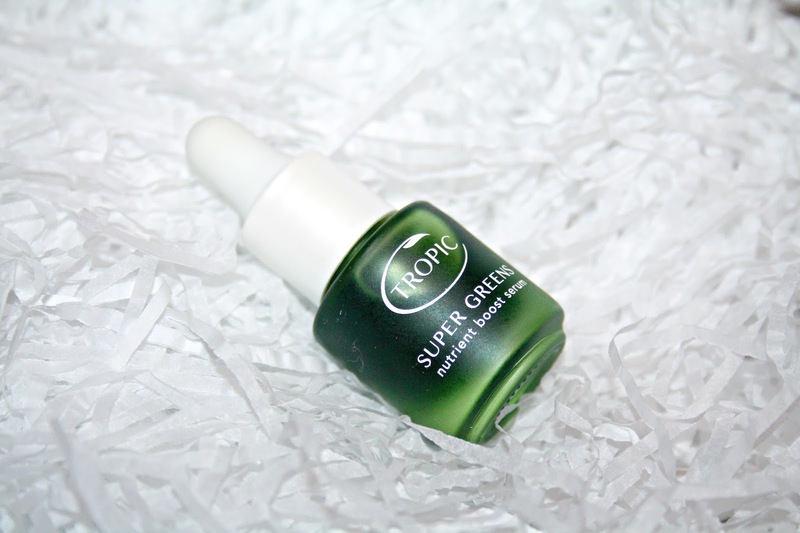 If you are a regular reader of my blog then you will know I am a huge fan of Tropic skincare (see here and here) and I was delighted to see a really cute little bottle of Tropic Super Greens Nutrient Boost Serum. Described as being a scientifically tested serum which delivers a dose of nutrients and vitamins deep into the skin for a rejuvenated complexion that glows with vitality. I love a good lip balm and also in this box is The Organic Pharmacy Antioxidant Lip Balm. Described as being a rich nourishing balm which is infused with Shea Butter, Pomegranate, Rose Hip and Vitamin E to protect and restore lips. I love a good lip balm and looking forward to giving it a try. 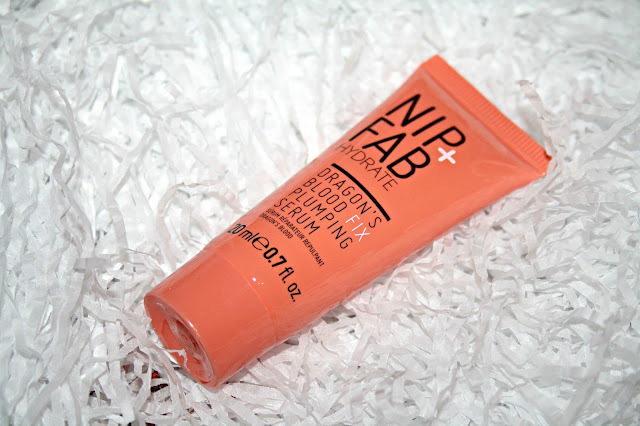 Next is the Nip + Fab Dragon's Blood Fix Plumping Serum which is said to be a favourite of Kylie Jenner. Anyway, it is described as being a lightweight serum that delivers an instant shot of moisture to dehydrated skin. 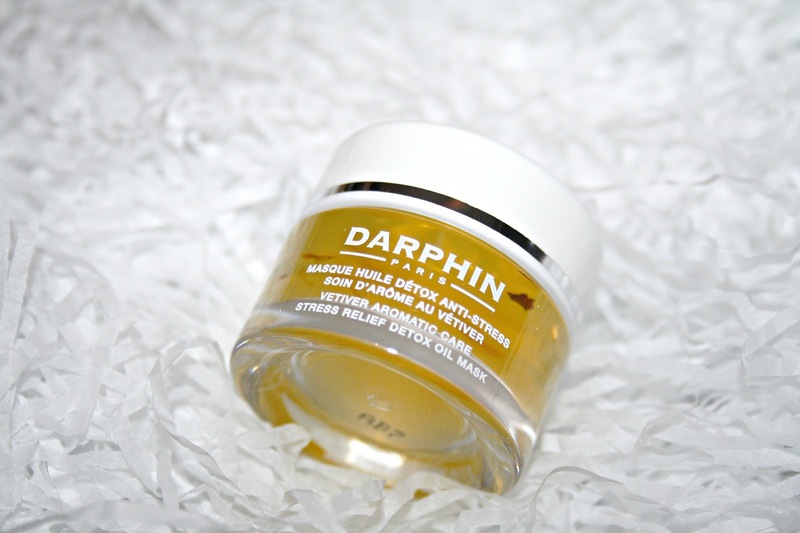 The use of both Hyaluronic acid and delicate velvet flower blend together for an intensive hydrating effect that is said to leave skin feeling comforted and looking plumper with the appearance of fine lines and wrinkles reduced. Lottie London isn't a brand that I am too familiar with but within this box is the Lottie London Glossip Girl Lipgloss in Bare. 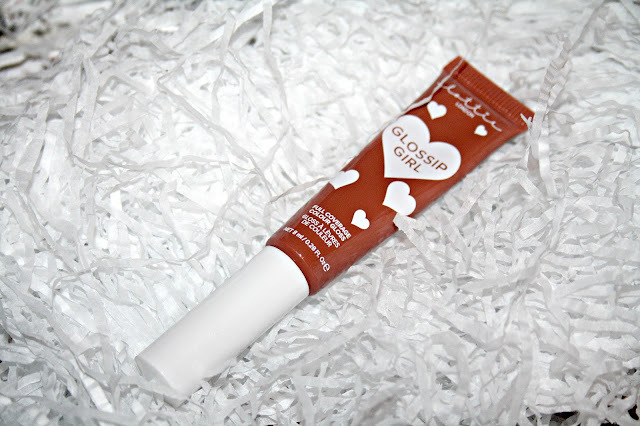 In a brown tube adorned with hearts, this lipgloss is described as being a full coverage gloss which is highly pigmented and not only is it paraben and gluten free, it is also vegan-friendly. Next is a brand I've seen a lot of but no nothing about and that is Darphin. In this Powder box is a little pot of the Essential Oil Elixir Vetiver Oil Mask. Described as being a repairing oil mask infused with flower petals and essential oils of vetiver, geranium, French lavender and marjoram, coming together these ingredients are said to instantly soothe, nourish and comfort the skin as well as helping to enhance skin’s resistance to the visible impact of environment, daily pressures and lack of sleep. The relaxing aroma helps detoxify the sensations of stress. Then we have this cute little palette from Sleek and honestly, it is just so dinky. Sleek i-Divine Palette in All Night Long is a mini version of the original Sleek palette and they still manage to include a tiny mirror in the lid! This palette features 12 shades which are all cocktail themed when it comes to their names and there is a mixture of rich smokey nudes, sultry beiges, eye-catching golds and shimmering bronzes. 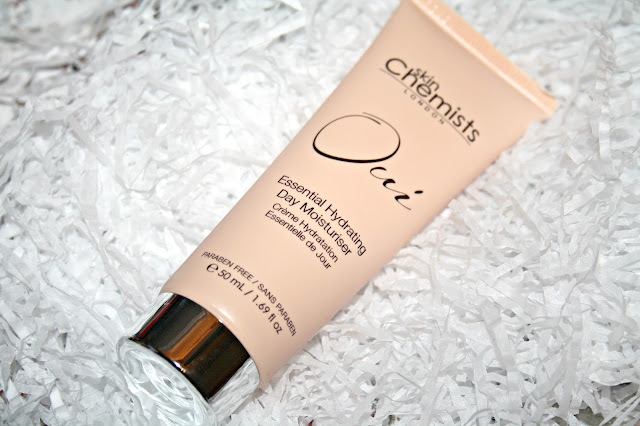 Oui Essential Hydrating Day Moisturiser from skinChemists is up next and whilst I have used a few products from the brand, this is new for me. Described as being an intense moisturising formula that is blended with Tiare Flower Extract, which hydrates the skin whilst also soothing, repairing and purifying alongside Vitamin E which is renowned for its anti-inflammatory and anti-oxidising properties. The final ingredient worthy of a mention is Coconut Oil which not only offers additional hydration but it also helps balance dry, itchy and sensitive skin. A brand I am really familiar with is Balance Me and this box has a 40ml sample of Pure Skin Face Wash. 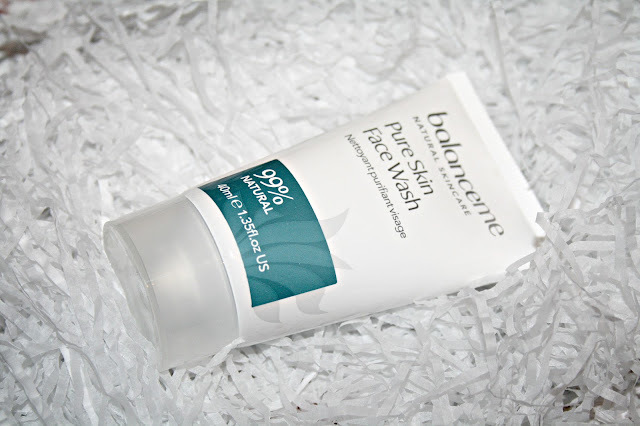 This face wash is described as being a sulphate-free, wash off cleanser that removes dirt and balances excess sebum. If you are familiar with the brand then you will know that it will be packed some amazing ingredients. The Face wash uses anti-oxidant rich Spruce Knot and Grapefruit Oil which helps to purify the skin alongside both Aloe Vera and anti-inflammatory Moringa Oil which make Pure Skin Face Wash the ideal, gentle cleansing solution for blemish or acne prone skin. Next up is a brand I have never come across before and that is Cougar Beauty. A quick search tells me that they are a UK based cruelty-free brand and have quite an extensive list of products. The one within this box is the Hyaluronic Acid Facial Oil which is their best selling oil and it is said to help deeply moisturise and plump the skin, which leaves skin feeling firmer and fresher. Anyone who knows their beauty products will know that both Water and Hyaluronic Acid are incredible ingredients for skincare. Another brand that I am a huge fan of is Murad and I was delighted to see their Retinol Youth Renewal Eye Serum. 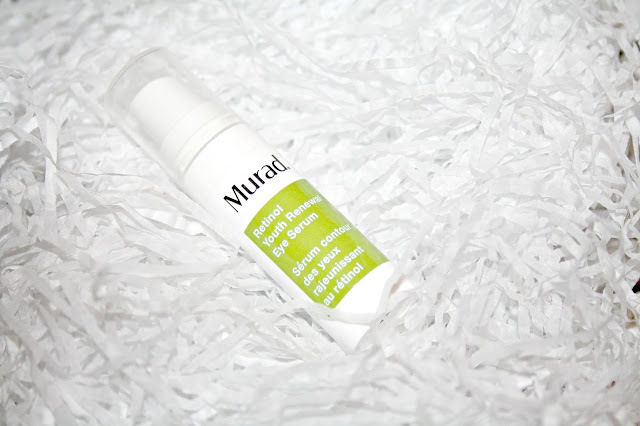 Powered by Murad's 'Tri-Active technology' this potent formula works to quickly and visibly minimises the appearance of lines and deep wrinkles, whilst helping to firm and even skin tone, to reveal dramatically younger-looking skin. As I have mentioned already, I am a huge fan of eye products and I am really looking forward to giving this a try. 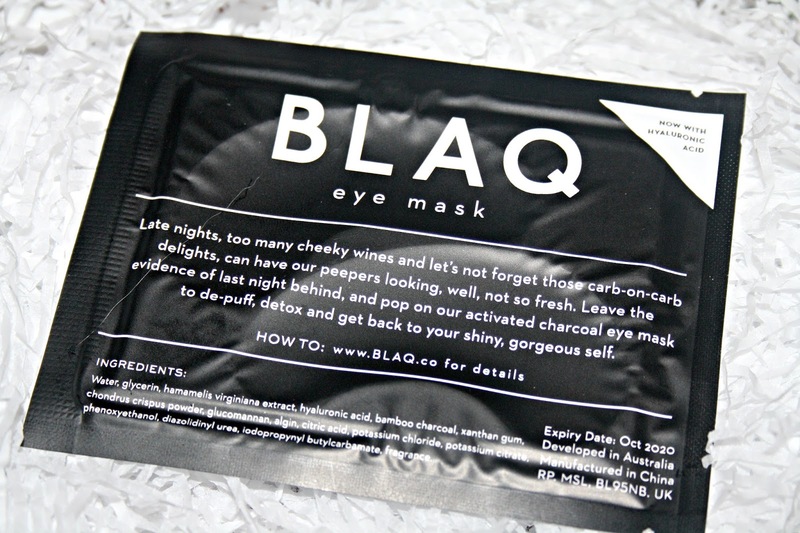 The final item within this box comes from a brand called Blaq and it is a brand I have been getting to know over the past few weeks and have immediately loved it. These Hydrogel Eye Masks are absolutely incredible and I have a full review coming on them soon. They contain activated charcoal and hyaluronic acid and work to reduce puffiness, detoxify skin and hydrate and for me, they are the absolute star of the box. Finally, there was a selection of Pukka teabags, including their cleanse and detox blends and I think it is a nice little extra to have included within the box and an extra which also works with the box theme. This was my first ever Powder Box and I am literally just so impressed with it. Not only is there a theme for which each and every product fits, there is an incredible mixture of products from both high end and high street brands, some of which you will and some of which you won't recognise. The best part is that this box it is worth £150 but is on offer right now for £30 here. This looks like an impressive amount of goodies for only £30! I'm a huge fan of the Nip + Fab Dragon's Blood collection. Oh wow so many good products in this box!!! I love that you got some teas to try alongside all of the beauty! oh wow it all looks so good! such a good variety of things to try! Love a good beauty box! I just feel the subscription boxes are a surprise as they can have anything in them, products that might be useful or anything that can be useless as well. I personally use very limited beauty products. This one looks fab!